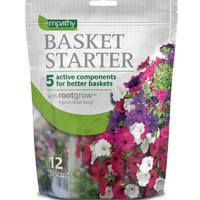 Create a spectacular, fuss-free basket display with the Easy-Plant Basket. Its innovative design allows modules and plug plants to be carefully inserted via six removable side windows, minimising accidental root damage sustained during planting and giving your plants the best possible start to the season. 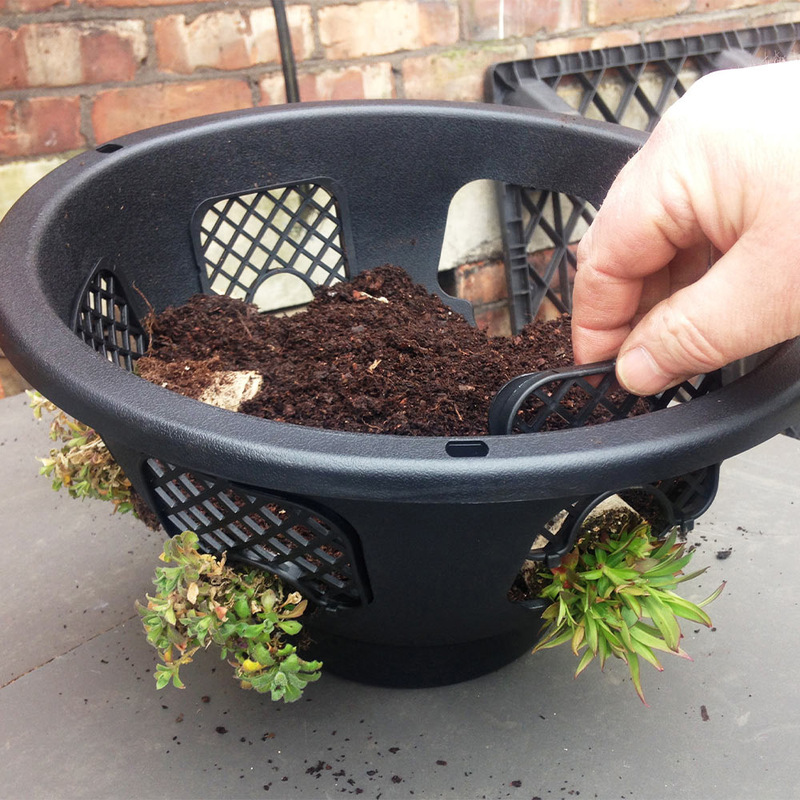 The Easy-Plant eliminates the need for a moss liner, and even has an in-built water reservoir to help prevent your basket plants from drying out. User-friendly and designed with the everyday gardener in mind, the Easy-Plant Basket makes it simple to create breath-taking hanging basket displays whilst maintaining the health and growth of your plants. This really is a must for your summer garden! 33cm (13 inch) basket supplied. 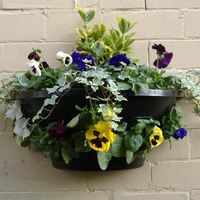 Our easy-plant hanging baskets require no moss or liners. The removable vented gates make side planting extremely simple and allow the roots to breathe. 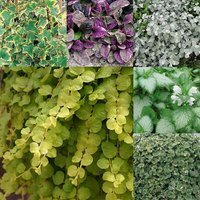 To plant, fill with soil up to the level of the first window, place your plug plants on the soil with the foliage through the semi-circle cut-out as illustrated. Then reposition the gates and the plug will be held securely inside the basket. 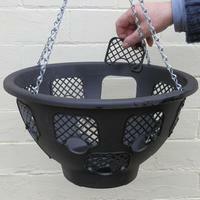 Each basket/wall planter has a large water reservoir, baskets are also supplied with chains and hooks.